Have you ever been in the middle of experiencing something and just knew it was one of those experiences you will remember for a lifetime? Well, THIS. This is one of those experiences! We checked out The VOID at Disney Springs and have now made a deal that it will always be on our must-do Disney list each and every visit. Without sharing any spoilers, here are six things to know about The VOID at Walt Disney World. 1 – What Exactly Is The VOID? The VOID stands for “Vision of Infinite Dimensions” and is described as a “virtual reality theme park” or “virtual entertainment center”. This franchise company uses high-end technology to create outstanding virtual reality like no other. A trio of co-founders put this idea into motion with their personal expertise which included a visual effects artist and former stage magician and an interactive media designer. 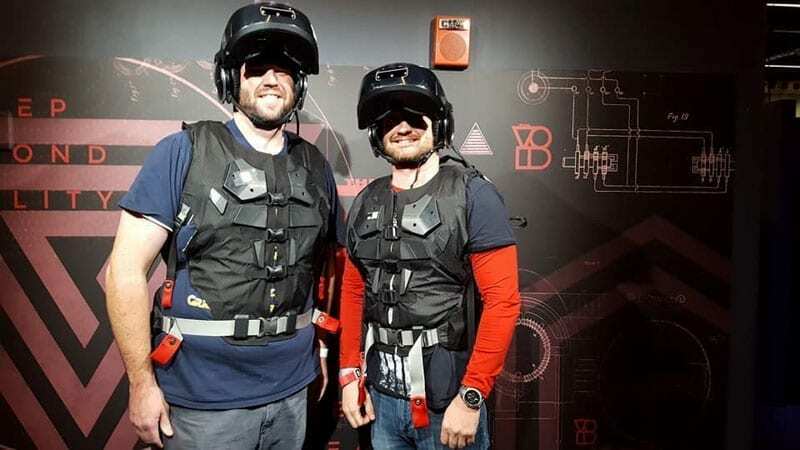 Their skills and talents weren’t lacking as the experience available within The VOID is an incredible representation of how “real” virtual reality can be! 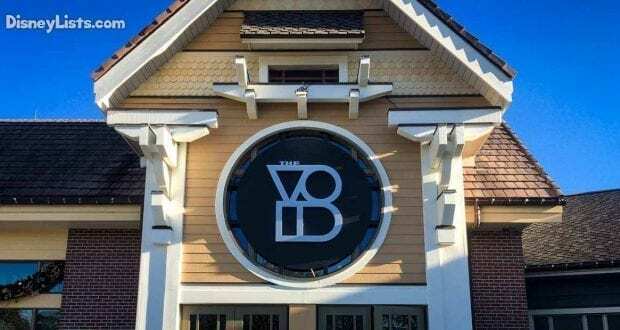 The VOID opened its’ doors at Disney Springs on December 16, 2017 and has been a hot spot ever since. There are currently seven locations around the world that The VOID is located. We are just thankful they chose Disney Springs at Walt Disney World to be one of them! There is no admission or parking fee to visit Disney Springs which makes it much easier for guests to enjoy the entertainment, dining, and shopping Disney Springs has to offer. The VOID is by far our favorite slice of entertainment offered at Disney Springs. Head over to the Marketplace where you’ll find The VOID located slightly behind Once Upon A Toy, next to Bibbidi Bobbidi Boutique. Currently, (and hopefully for a very long time!) The VOID hosts Star Wars: Secrets of the Empire by ILMxLAB and The VOID. Feel as if you are truly immersed in ALL the action as you suite up with a vest and head gear/helmet for a mission in a galaxy far, far away! Our mission included just two of us, but don’t be surprised if you are partnered up into a maximum number of 4 team members. The mission sends you walking around in exploration under disguise to recover Imperial intelligence for the Rebellion’s survival. Whether you are or are not a Star Wars fan, this experience is truly a must-do. Just the technology and full sensory experience alone is without a doubt some of the most unbelievable we have ever seen, heard of, or experienced! 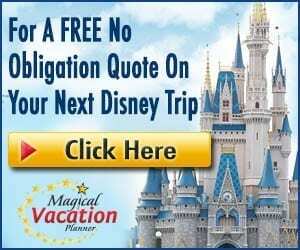 We knew technology like this existed but never thought it was readily available for everyday Disney travelers to experience firsthand. When you get shot at, your vest feels it in exact time. When you reach out your hand to pick up a weapon or pull down on a handle, you are actually grabbing the weapon or handle in perfect alignment. Your teammates motion and actions are visible to you in real time – perfectly. It’s so difficult to explain and simply must be experienced. Oh, and Star Wars fans… this is as close to living in a reality Star Wars experience that you can get. Really, just WOW! Keep in mind that all guests must be a minimum of 48 inches tall and at least 10 years of age or older to participate in The VOID. Upon arrival at The VOID, you will be asked to sign a liability waiver before entering. Guests under 18 years must have a parent or guardian present to sign the documents in person. As mentioned above, each experience can only accommodate 4 people. If you have more than 4 people, your group will be split up. Plan to spend roughly 30 minutes at The VOID. This includes the debriefing and the actual virtual reality experience. No photography is allowed once on The VOID “stage” which means you aren’t allowed to snap photos or take a body camera in during the experience. While The VOID was taking walk-ins the day we were scheduled to visit, we were happy to have our tickets purchased in advanced so we had a guaranteed slot. On busy days, The VOID could turn walk-ins away depending on how many slots they have available for a specific time frame. 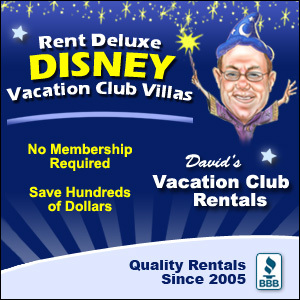 Ticket are not purchased through Disney World, but rather through the VOID’s online site at: https://www.thevoid.com/. Our tickets were $29.95 for each of us. Honestly, now that we have experience it, we would have paid three times that amount! $30 is an insanely good price for this unforgettable experience. Our “ticket” was sent to us in barcode form on our email which requested that we show up 10-minutes before our scheduled time. We joke, but are kind of serious, when saying this is now our favorite “attraction” in all of Walt Disney World. That’s pretty huge coming us Disney nerds! We are excited to see how this one grows and changes over time. The VOID has been known to offer other virtual reality experiences, such as the Ghostbusters experience available in other locations. The VOID is what the future holds for entertainment… just incredibly available to us in present time!